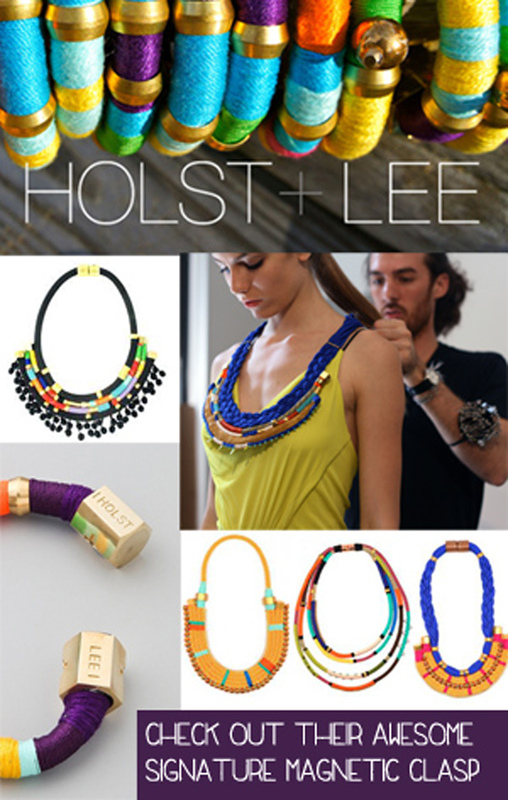 There is no denying that Brooklyn based jewelry line Holst + Lee is pretty badass. 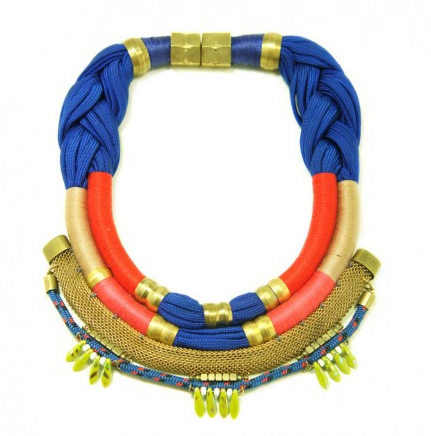 Textural, vibrant and downright awesome, each piece boasts a unique colorblock style and a signature magnetic clasp. All Holst + Lee jewelry is handcrafted in the USA using a combination of rope, string and brass findings. Love love love the effortless style this adds to any outfit. This entry was posted on June 20, 2013 by elisabeth in from the jewel box and tagged Holst + Lee.